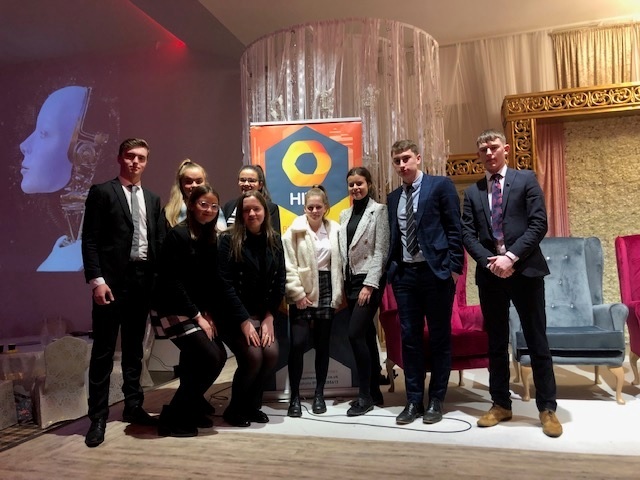 On Friday morning the Lower Sixth Economics and Business students attended Digital Hive and the Future. HIVE is a Blackburn with Darwen business initiative and their Digital Event included local business owners and service providers talking about the digital changes in their businesses and the borough at large, including a discussion about the skills needed by the workforce of the future. The keynote speaker was Dr James Whittaker, “Distinguished Engineer” at Microsoft in Seattle and visiting scholar at Lancaster University. His inspirational talk urged businesses and young people to think about the future, rather than the present, and to go beyond ‘digital’ into ‘intelligence’. He gave us a lot to think about and it was a fantastic experience to have a world-renowned speaker in our community on a wet Friday morning in February!